The Dutchtown Bike Tour and Blessing of the Bikes returns in 2018! 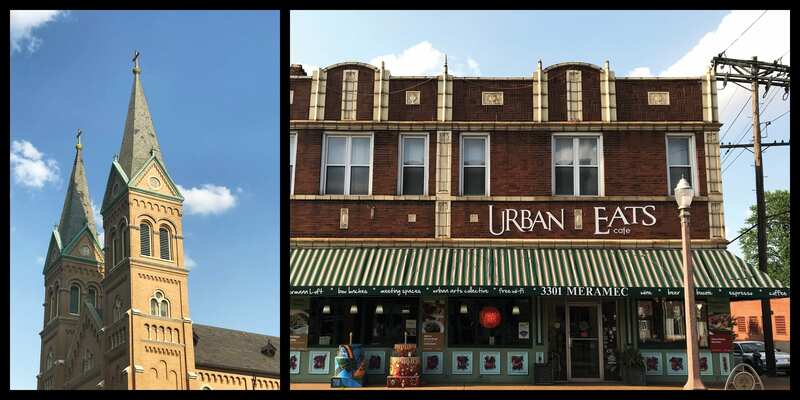 This year the Bike Tour, which starts and ends at Urban Eats Café, will cross paths with the STL Open Streets event on Compton from Meramec to Cherokee. The Blessing of the Bikes is a yearly tradition at St. Anthony of Padua Catholic Church. Prior to the blessing at 9:30am, young riders are invited to come by St. Anthony’s for a complimentary helmet adjustment and bike safety check. All are welcome to have their bicycles, skateboards, rollerblades, or other wheeled personal transport blessed. 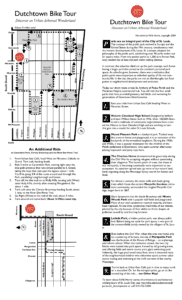 After the Blessing of the Bikes, head one block down Meramec to Urban Eats to sign waivers and pick up a map (or download a PDF here in advance). The first 25 riders to arrive receive a free water and coupon for an Urban Eats snack or lunch later in the afternoon. At 10:30am, the Bike Tour heads out from Urban Eats. The guided tour will take you through Dutchtown’s multiple parks and by a few other notable idyllic landmarks. The path is approximately three miles and will take a little over an hour to complete. The last stop on the Bike Tour route is Marquette Park. Riders will come down Osage and round the corner at the KDHX Live Stage onto Compton with the Open Streets crowd cheering them on. They’ll then head back to the start at Urban Eats, arriving around 11:30am. Riders looking to get some additional miles in are encouraged to continue on the self-guided tour of South Grand, Carondelet Park, the Christy Greenway, and the River des Peres Trail. The extended route is about a sixteen mile round trip. The Dutchtown Bike Tour is brought to us by Trailnet, the Downtown Dutchtown Business Association, and Urban Eats Café. This post was updated on May 16, 2018 . Read more news about DT2, Dutchtown, Dutchtown Bike Tour, Mount Pleasant, and Open Streets.